Most of my acquired books lately were academic-related, eating-out theories most of the time, lol. 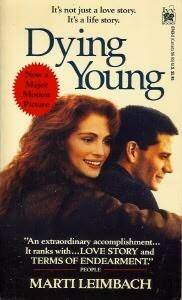 Anyway, I’ve read quiet a number of books that made me cry, my latest cover to cover read was The Notebook by Nicholas Sparks, it made me teary eyed though, but not as what I remember crying over reading DYING YOUNG, you might have all remember this as it was adapted in movies in 1991. But when I first read this back in 1990, gosh! Maybe I’m not good yet at controlling my emotions during that time that I really have cried a river reading this book. It was funny because my roommates at the dorm were wondering why, so the virus of crying went around our room, chapter by chapter, we took turn reading and then all of us went crying. … hayyy! those were the days. Nicolas Sparks are really known to have talent in writing inspirational books!!! 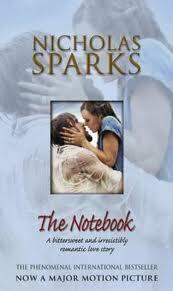 I've read the notebook but not other one...so i must read it too...Happy GT Vernz! i must really get into this author. i've probably watched all the movie adaptations from his books but never heard of him. Funny eh? oh yes! these are great books! and great LOVE STORIES as well.. nice post! I'd like to grab a copy of the notebook--have heard na maganda daw talaga yan. hoisst!voted for you na.Godd luck! thanks for sharing this info. Love to grab a copy of this.. you can visit my entry too and it would be worth sharing.. lovely visit dinhi.. TC! oh my gosh that was such fun, crying over the same book! my cousins and i used to do that too. LOL. crazy. but fun!